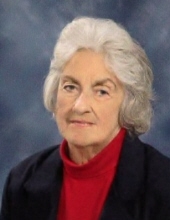 Westminster – Christine Stephens Burdette, 89, wife of the late Walter Clayton Burdette, formally of 511 Old Seneca Road, passed away Thursday, April 11, 2019. A native of Oconee County, she was the daughter of the late Albert T. Stephens and Florence Moore Stephens. She retired from The Department of Motor vehicles as a Clerk and later went on to work at Oconee County bank as a teller and book keeper. Mrs. Burdette was a member of the American Legion Auxiliary and a member of Westminster Baptist Church. Survivors include, Nieces, Nancy Bowen of Westminster, Sandra Burton (Mike) of Seneca, Jean Faircloth of Williston and Janet Scott of Williston. She is also survived by numerous great nieces and nephews. A funeral service will be held 3 PM, Sunday, April 14, 2019 at the Chapel of Sandifer Funeral Home. Burial will follow at Oconee Memorial Park. The family will receive friends from 2-2:45 PM, Prior to the service on Sunday, April 14, 2019 at Sandifer Funeral Home. The family would also like to extend a special thank you to niece, Patsy Davis for her many years of loving support and dedication to Christine. To send flowers or a remembrance gift to the family of Christine Stephens Burdette, please visit our Tribute Store. "Email Address" would like to share the life celebration of Christine Stephens Burdette. Click on the "link" to go to share a favorite memory or leave a condolence message for the family.